Rectangular Carboy with Stopcock are made of High Density Polyethylene and are autoclavable & durable. 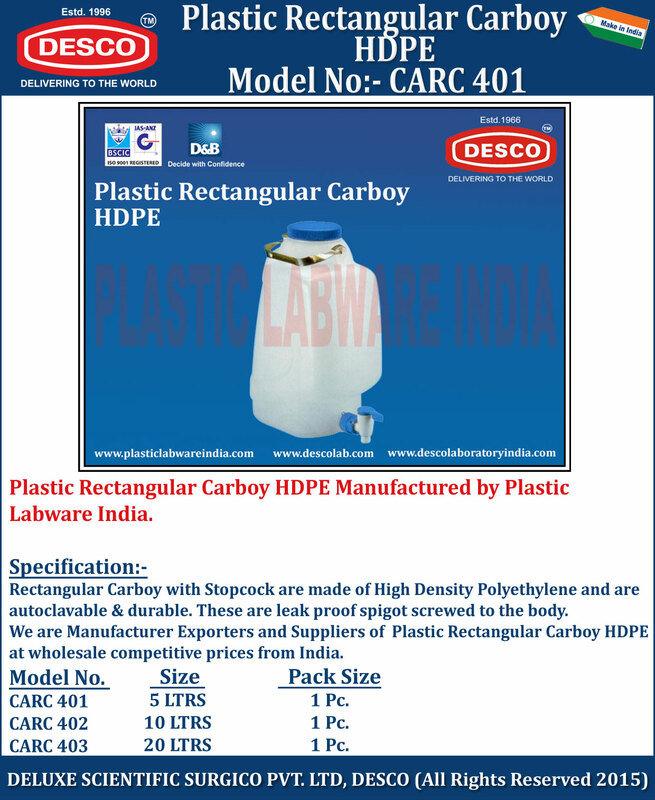 We are Manufacturer Exporters and Suppliers of Plastic Rectangular Carboy HDPE at wholesale competitive prices from India. CARC 401 5 LTRS 1 Pc. CARC 402 10 LTRS 1 Pc. CARC 403 20 LTRS 1 Pc.